The Holy Rosary is so important in so many of the apparitions of Mary. 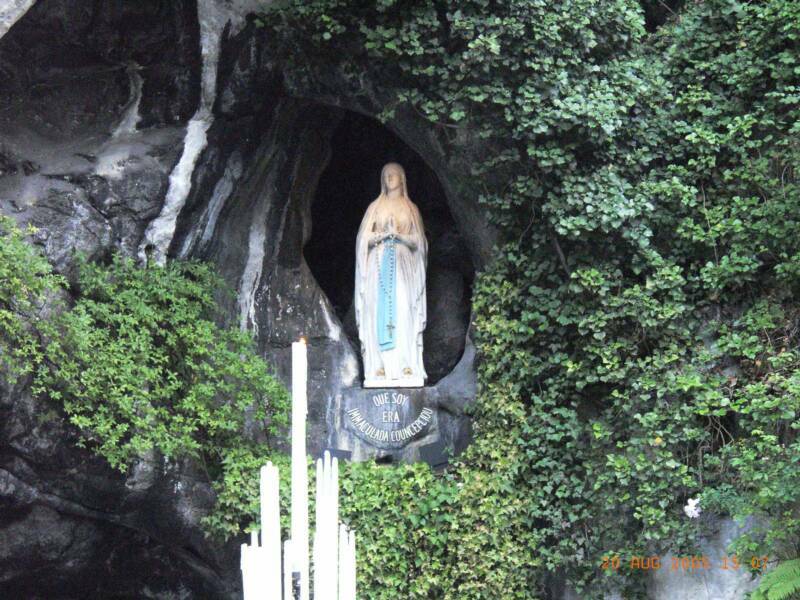 We see this when Our Lady appeared at Lourdes France in 1858. 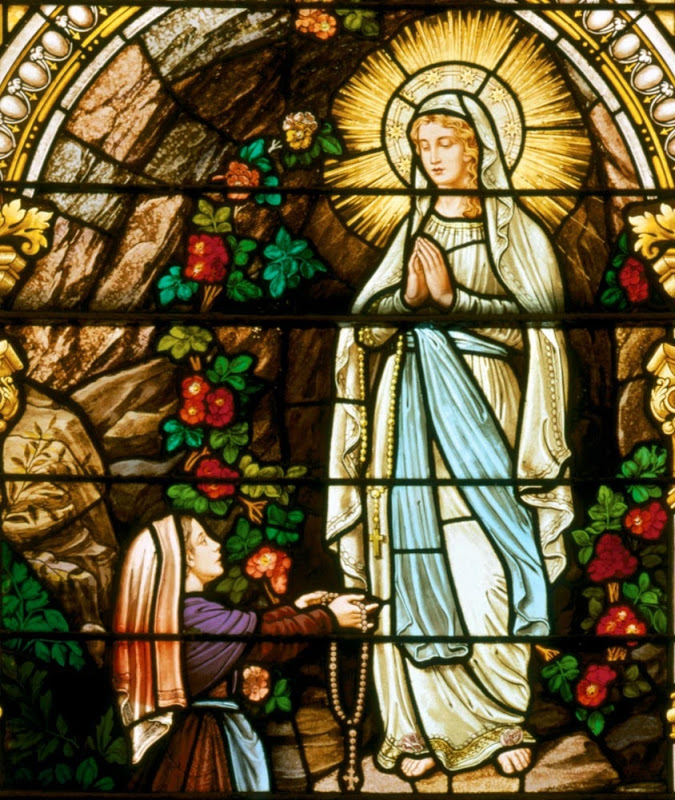 Right off, the first apparition began with Mary praying the Holy Rosary with St. Bernadette. “Without thinking of what I was doing I took my Rosary in my hands and went on my knees. The Lady made with Her head a sign of approval and Herself took into Her hands a Rosary which hung on Her right arm. When I attempted to begin the Rosary and tried to lift my hand to my forehead, my arm remained paralysed, and it was only after the Lady had signed Herself that I could do the same. The Lady left me to pray all alone; She passed the beads of Her Rosary between Her fingers but She said nothing; only at the end of each decade did She say the “Gloria” with me. “When the recitation of the Rosary was finished, the Lady returned to the interior of the rock and the golden coloured cloud disappeared with Her. As soon as the Lady had disappeared Jeanne Abadie and my sister returned to the Grotto and found me on my knees“…. We need to take notice of Mary approving of St. Bernadette kneeling while praying the Holy Rosary. I think it is the most respectful way of praying. You can imagine if this is approved by Our Lady when praying the Holy Rosary, you can just imagine what God desires at the Holy Sacrifice of the Mass and when receiving Jesus in Holy Communion. “With no sign of awkwardness or self-consciousness, the child took the Rosary from her pocket and crossed herself in her usual profound manner; Monsieur later commented that if the sign of the Cross is made in Heaven, it must be as Bernadette made it that morning. All the while she was praying she kept on looking up into the niche, like one who was waiting. Suddenly, her whole appearance was once more transformed and she began to smile. Estrade said she “was no longer Bernadette; she was one of those priviledged beings, the face all glorious with the glory of Heaven, whom the Apostle of the great visions has shown us in ecstasy before the throne of the Lamb”. 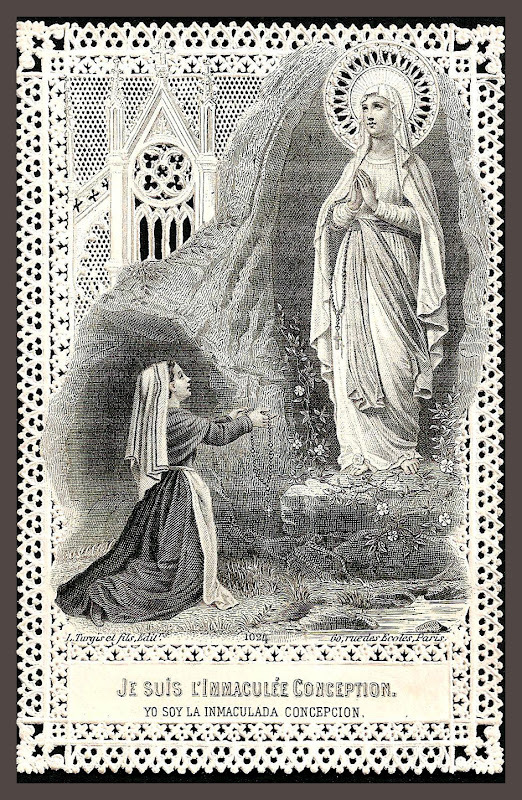 “Bernadette explained that while on her way to the Grotto earlier that morning, a lady named Pauline Sans (who was the Lourdes seamstress) had spoken to her; she had desired to have a memento of the Apparitions and so had asked the child if she would be kind enough to use her (Madame Sans’) Rosary that morning while the Blessed Virgin was praying with her. Bernadette had agreed to this proposal. As Bernadette was about to make the sign of the Cross, she took the Rosary from her pocket but was not able to lift her hand to her forehead. The Lady asked Bernadette where her own Rosary was – here, the child lifted the Rosary high in the air for the Lady to see. But the Lady saw only too well “You are wrong” She told Bernadette, “this Rosary is not yours”. Realizing she had Madame Sans’ Rosary in her hand, she put it back into her pocket and retrieved her own Rosary of black wood beads on a knotted cord, bought previously by her mother. Again she lifted the beads. “Use those”, said the Lady sweetly, smiling at the child, and Bernadette was able to begin her prayers. The priest who asked the child to explain said to Bernadette “Is it true that you blessed Rosaries at the Grotto today?”. 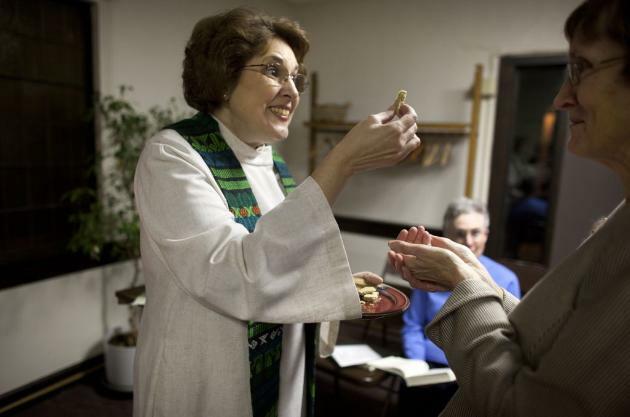 Here you can see what a blasphemy it is to be a women and to want to be priests. 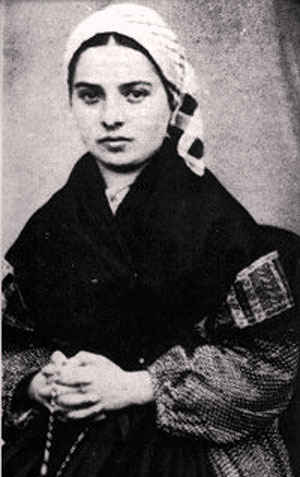 St. Bernadette would never have wanted to be a priest. Yet as a woman religious, she has influenced millions and millions of people to be holy. 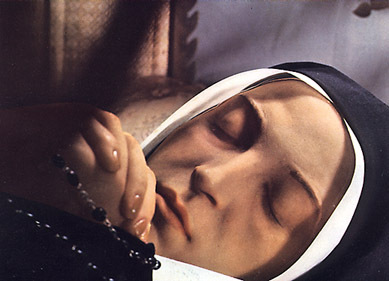 So we see that St. Bernadette showed so much reverence to Jesus in the Holy Communion, to the Holy Virgin Mary and prayed the Holy Rosary. She called the grotto “a taste of heaven”. She went on to suffer great persecution from her own religious superior and as well as physical illnesses. But upon her death, her body never corrupted and can be seen today. 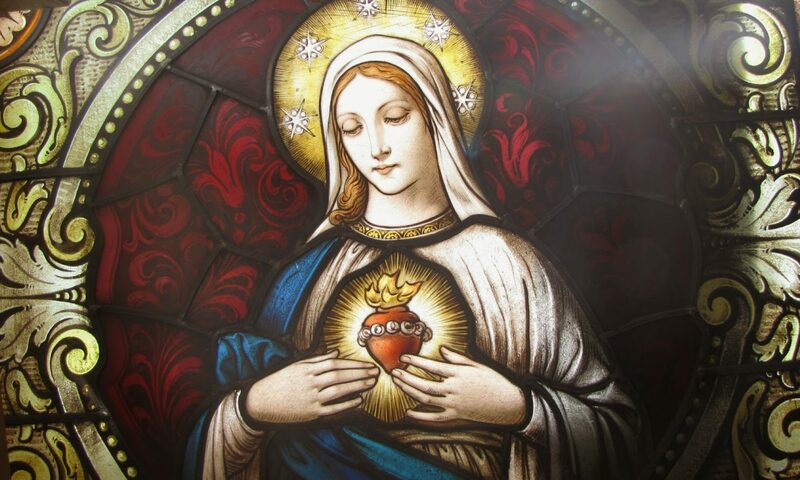 Our Lady Lady had said: “that her happiness lay not in this life, but in the next”. May we continue to pray the Traditional 15 mysteries of the Holy Rosary (Joyful, Sorrowful, Glorious) and be happy forever in heaven. 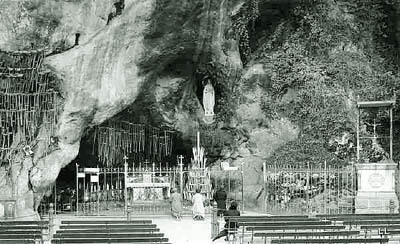 If you wish to read the whole account of St. Bernadette’s apparitions at Lourdes it is to be found at: Our Catholic Faith. Previous PostPrevious Simple Power of Praying the Traditional Holy Rosary.